Apparently Heck's plan to build a 'sausage of the North' is not an April Fools. The cake company are also launching a delivery service. Otley Pub Club says the refurbishments to The White Swan and Black Bull will be "destructive". And how can you support the industry. with this cake decorating event in Harrogate. 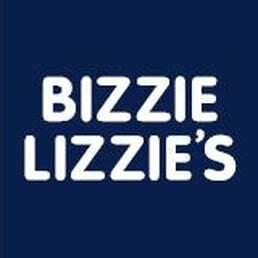 We're looking at the link between food and Easter with Bizzie Lizzie's and Alexander's have got a new Spring menu. Steph Moon is cooking up something delicious and we've got another Drink of the Week from the guys at Slingsby. Alexanders are talking about their new Spring/Summer menu and Spirit of Harrogate are back on the show. Steph Moon is cooking up something delicious and we've got another Drink of the Week from the guys at Slingsby. Riverford Organics are back on the show discussing the 'Hunger Gap' between Winter and Spring. Steph Moon is cooking up something delicious and we've got another Drink of the Week from the guys at Slingsby. Mama Doreen's are celebrating their birthday. Steph Moon is cooking up something delicious and we've got another Drink of the Week from the guys at Slingsby.